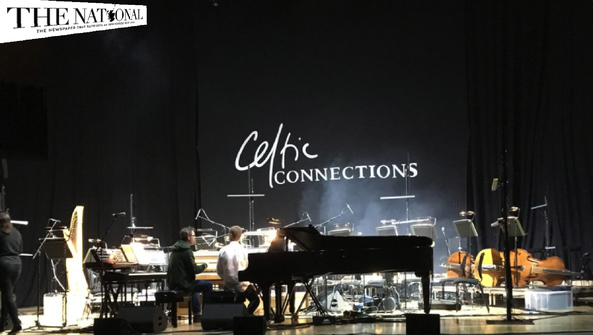 Richter has long played with that idea, and this, an exclusive Celtic Connections pairing of his ensemble with the Scottish Chamber Orchestra, conducted by the globally-acclaimed Robert Ziegler, is a transcendent triumph. Introduced with the only known recording of Woolf's voice, the flowing Mrs Dalloway shares the elegant, existential dread of the novel, while the surging, Baroque-inspired Orlando – here teamed with dazzling lighting theatrics – emphasises that book's sci-fi elements. Woolf's death hangs over final movement The Waves, which features a moving solo from SCO cellist Su-a Lee and the author's last words to her beloved Leonard, read here by actress Gillian Anderson.